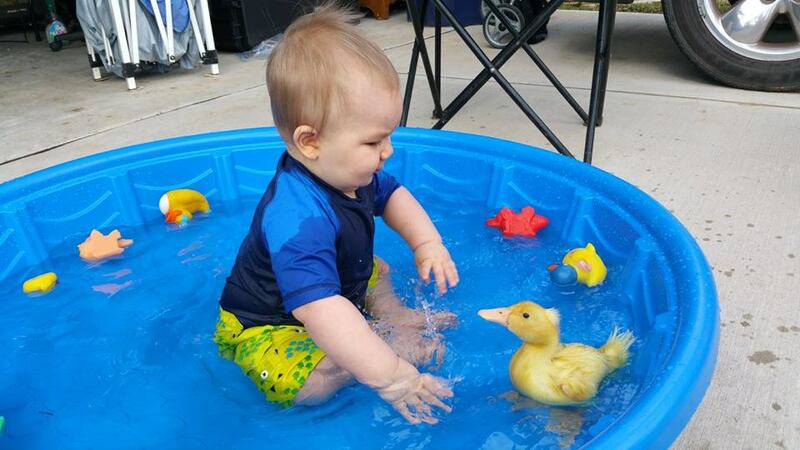 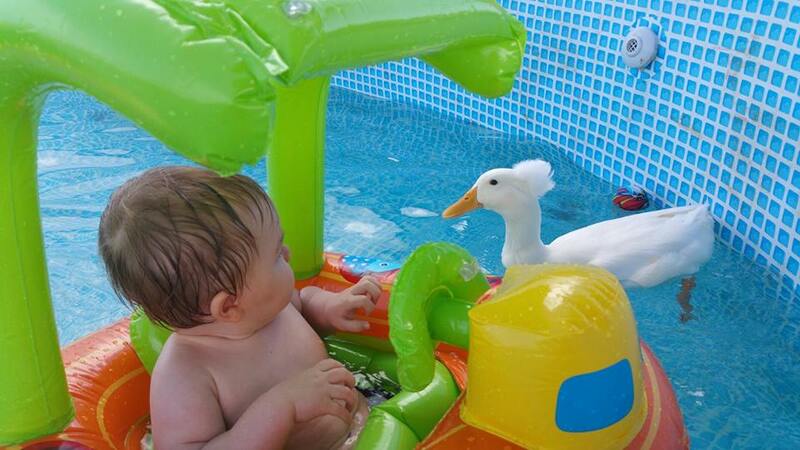 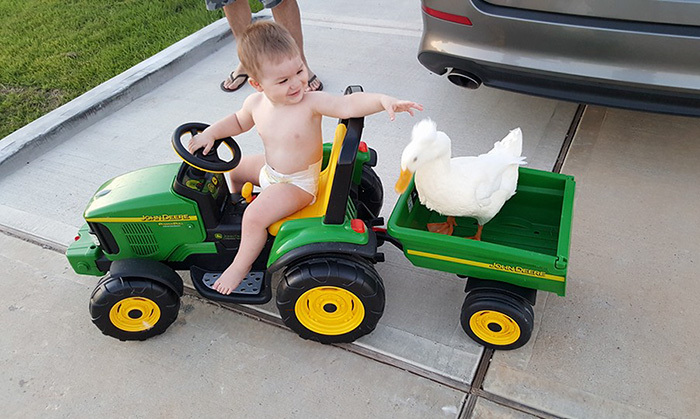 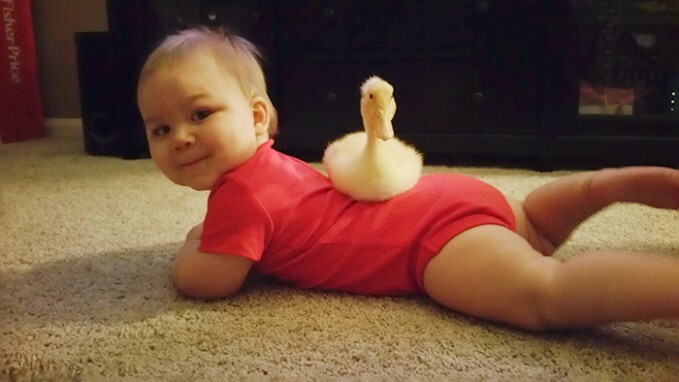 Dog may be man’s best friend but duck is baby’s best friend. 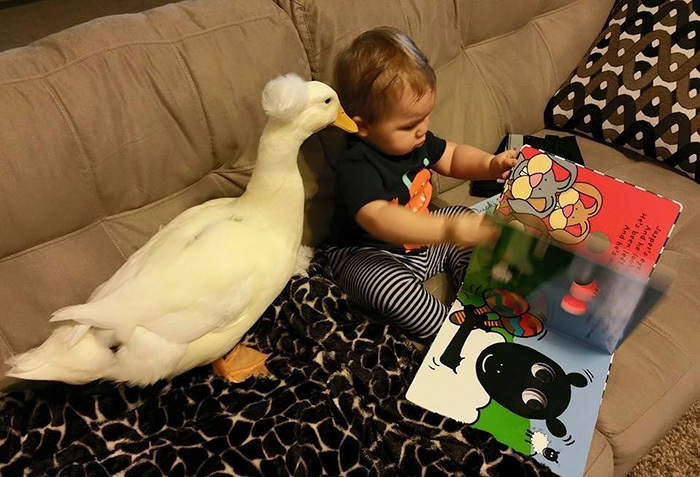 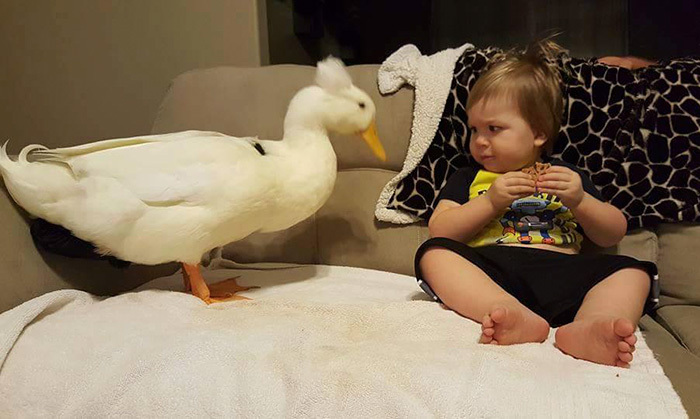 When little Tyler was just 9-months-old Beaker the duck joined the family and has been Tyler’s best friend and protector since. 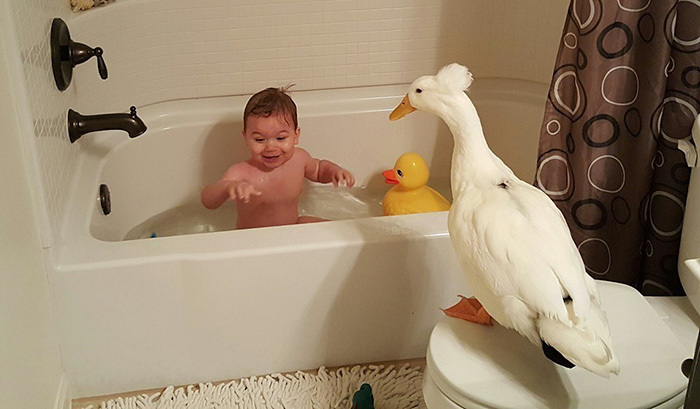 The family has 11 ducks, Beaker is the first to live inside with them.